Radiant silver wedding bands and sterling silver engagement rings have never gone out of style - even with the arrival of new wedding ring metals and materials of the last century. If silver is your wedding ring metal of choice, use the guide below to find out more about the pros and cons of silver wedding rings, popular ring styles, special care info, plus helpful shopping tips. If you have any questions about silver engagement rings and wedding bands that are not answered here, just use the comment box at the end of the page to send us your questions! 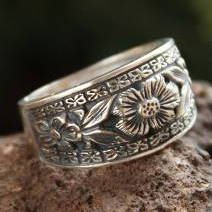 Silver was one of the most popular wedding ring metals until the mid-1800s gold rush. Silver was the main metal used for wedding ring settings and prongs until the late 19th century. 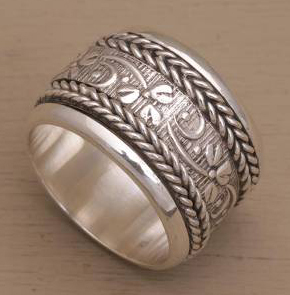 Silver poesy rings were the en vogue wedding rings during the 18th century. 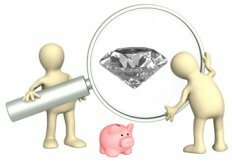 Before purchasing a silver wedding ring, it is helpful to know a little bit about the properties of silver and the best type of silver used for silver engagement rings and wedding bands. Silver is a very soft and highly malleable metal, and pure silver is much too soft to craft into a wedding ring made to last. 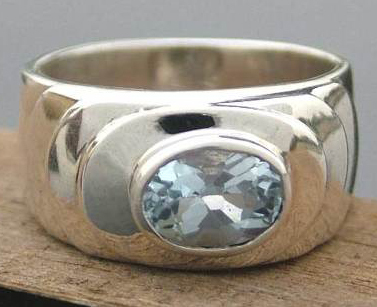 The best silver for wedding rings, by far, is sterling silver. Sterling silver is 92.5% silver (by weight) alloyed with 7.5% copper. Sterling silver wedding rings may be treated with a process called "flashing." 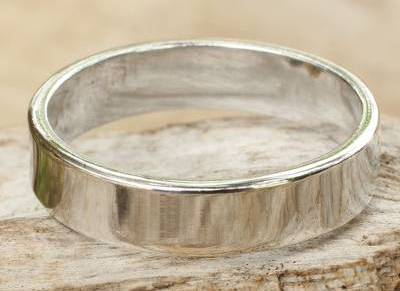 During this process, the bands are plated with a thin coat of "fine" silver which is 99.999% pure silver to give the rings a finish with extra luster and shine. However, flashing will wear off relatively quickly on every day wear engagement rings and wedding bands. Sterling silver engagement rings and wedding rings may also be treated with Rhodium Plate to increase durability and shine. 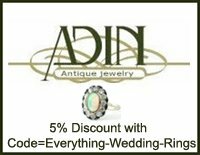 Silver rings do not have to have rhodium plate, so couples can decide whether or not to renew the rhodium plate once it wears off. 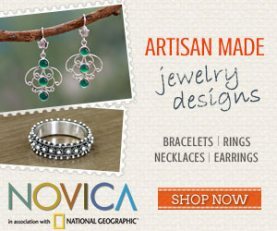 Rings crafted with what is known as "Mexican silver" (usually from Central or South America) are made with a silver alloy that is anywhere between 90 to 99% pure silver. 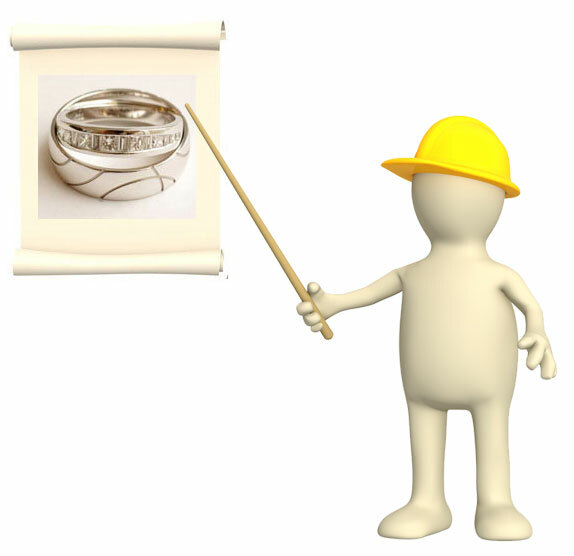 Silver wedding and engagement rings will require special care (see our special care tips below) - and are not as durable as other types of metal rings including gold, palladium and platinum. Silver also has the highest electrical and heat conductivity of any known metal. 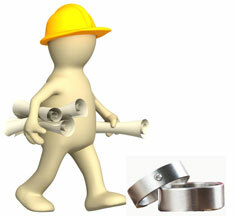 This means that if a silver wedding band is exposed to heat it will quickly become hot - and for those who work in any capacities involving electricity, silver would probably not be a good metal to choose for a wedding ring. 1. The look of sterling silver cannot be matched - no other metal has the radiance, inner glow and natural brilliance of sterling silver. 2. 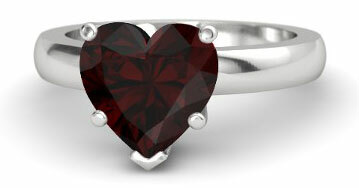 Sterling silver wedding rings are very affordable - especially compared to gold and platinum. 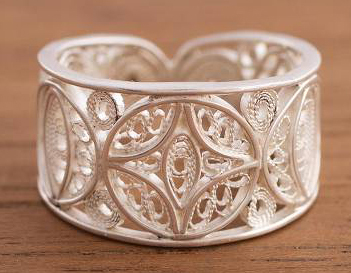 Extremely intricate silver bands made with filigree work and engravings are also quite affordable. (Sometimes though, silver bands can be on par, cost wise, with Palladium Bands, especially rings made with diamonds). Wedding rings made with sterling silver are also available in an almost endless selection of styles. 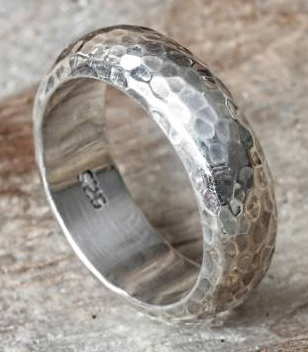 Because silver is so malleable, it is a favorite with jewelers - and it is not difficult to find unique silver wedding bands which have been lovingly crafted by experienced hands. Silver rings do not require rhodium plate either. While the plate will increase the durability of the rings (until it wears off), silver - unlike white gold - does not need rhodium plate to maintain its white lustrous gleam. 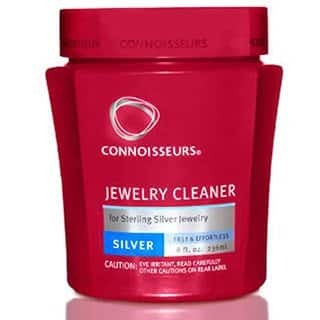 The main con of sterling silver is its softness and durability. Silver wedding rings can scratch and bend under pressure, and thin silver rings in particular will not wear well with time. Silver wedding rings will eventually tarnish too and need to be cleaned occasionally to maintain their shine. 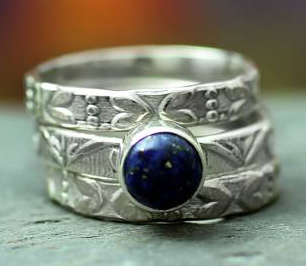 The good news is that with a little TLC, silver rings can last in good condition for many generations to come. 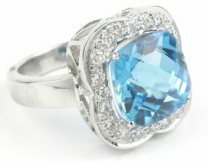 Sterling Silver Gemstone Rings, made with beautiful yet affordable gemstones like aquamarine, blue topaz, green amethyst, red garnet and more for colorful engagement rings which offer plenty of brilliance and sparkle set against the white sheen of silver. 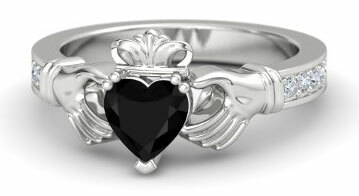 Sterling Silver Claddagh Rings, symbolize friendship, loyalty and love. Claddagh rings have been made since the 1700s and these unique silver wedding bands are a top choice for couples searching for rings which reflect the deep meanings of Claddagh designs. 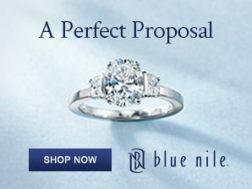 Sterling Silver Diamond Rings reflect a diamond's fire and flash that is maximized with a white metal setting and band. 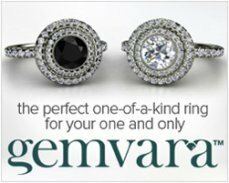 Couples who are on a tight budget searching for affordable wedding rings made with real diamonds may enjoy the look, and lower prices, of silver diamond rings. 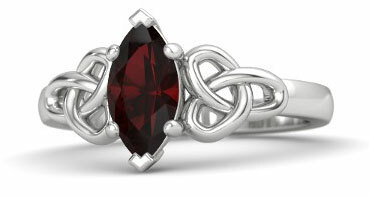 Sterling Silver Celtic Wedding Rings are some of the most popular engagement and wedding band styles. 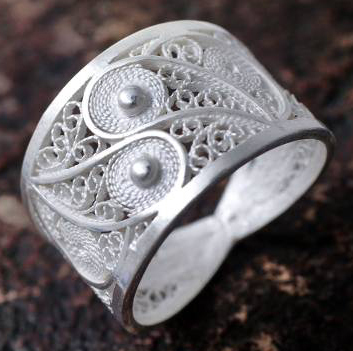 Jewelers enjoy crafting intricate Celtic knot rings with silver in particular because it is such a malleable and forgiving metal to work with. 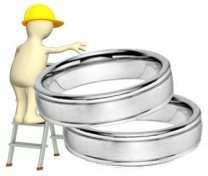 While women's and men's silver wedding bands are available in a beautiful selection of styles, and come with very affordable prices, silver rings are not recommended for every day wear if the rings will be exposed to rough treatment. 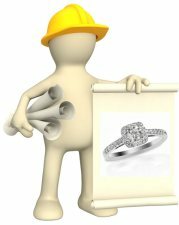 Men and women who need extra strong and durable rings that can hold up to extreme wear should consider purchasing wedding bands made with Cobalt, Titanium, Tungsten or Stainless Steel. 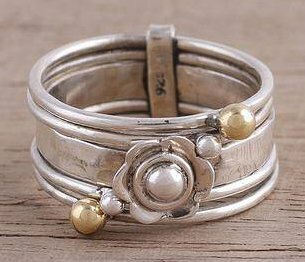 Rings made with these metals are just as affordable as silver, and they are extremely strong and durable. The only caveat here is that these extra heavy duty contemporary metals can only be crafted into plain band styles. For stronger detailed, traditional wedding and engagement ring styles platinum is the best option followed by palladium and 18k gold. 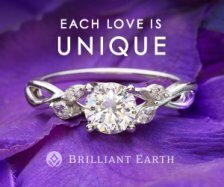 That being said, for handcrafted rings, rings made with intricate styling, or affordable bands paired with diamonds, the warm timeless look and feel of silver can't be beat. Because silver can bend under pressure, and scratch, silver wedding rings should be removed before performing any activities which could expose the rings to extreme pressure and/or hard knocks or blows. Silver rings should also be removed before performing any household chores which could expose the rings to scratches - like washing dishes. When silver rings are removed, it is best to store them in a cloth bag - separated from any other jewelry pieces which could scratch them. To clean silver rings, gently wash the rings in warm soapy water and then dry with a soft polishing cloth. 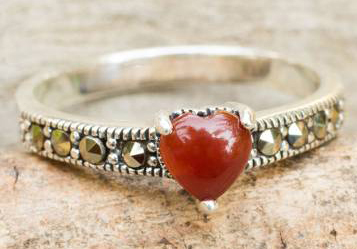 Use a tarnish removal product - as needed - which is approved for sterling silver rings. If the ring does become scratched or bent, a professional jeweler may be able to buff out the scratches and straighten the ring. A once a year clean and buff appointment with a professional jeweler can also help to remove scratches and maintain shine on silver rings. Quality sterling silver engagement rings and wedding bands should come with a fineness or hallmark stamp on the inside of the ring - and this stamp should also be accompanied by a maker's mark. 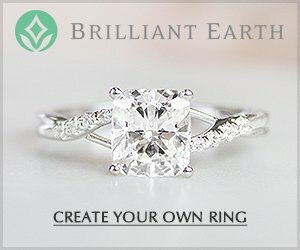 Silver diamond engagement rings should come with a certificate from a reputable laboratory detailing the grade info on the diamond. 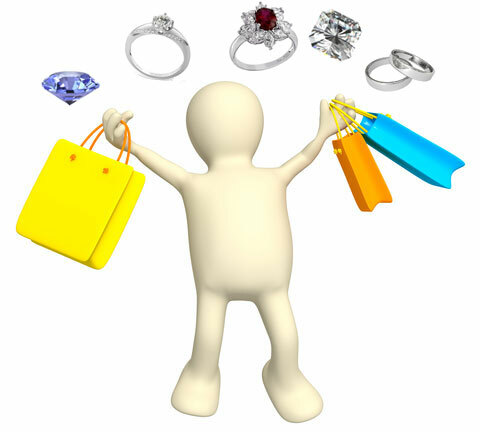 Avoid purchasing diamond rings which do not come with this information. Remember "Avoid Plate Like the Plague" (this is a favorite saying here at Everything Wedding Rings). 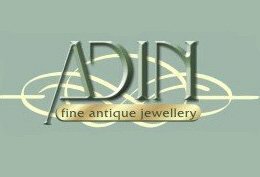 Please do not be tempted to purchase low cost rings made with brass or copper which merely have a silver plate. The same goes for silver rings plated with gold. The only plate which is approved for quality wedding rings is rhodium plate - and this plate can easily be replaced once it wears off. 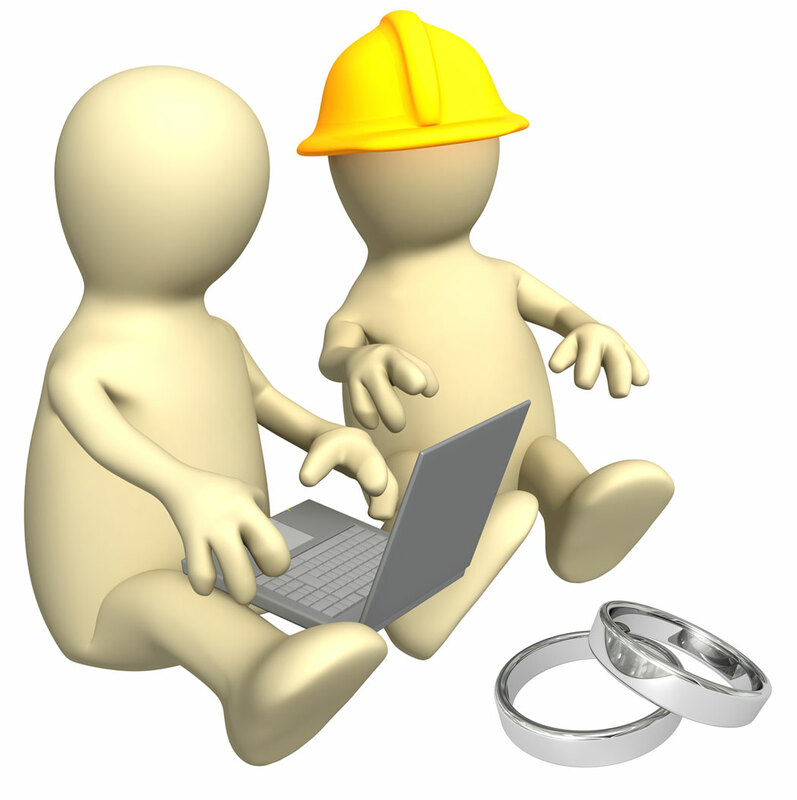 As always, stick with retailers and jewelers who stand by their work with a guarantee! 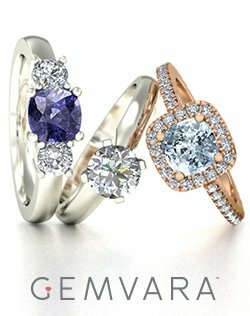 Do you have comments or questions about silver wedding bands and engagement rings? 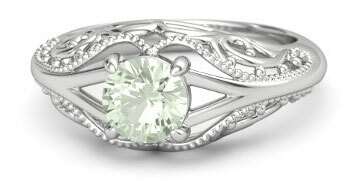 Send in your questions and comments, or share pics of your captivating silver wedding rings here! 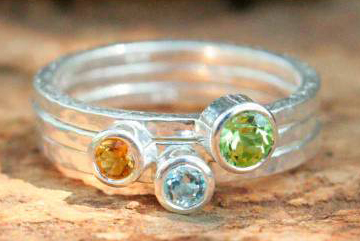 Perfect Gemstone for Engagement Rings! Is a Pearl Engagement Ring the Right Choice for You? 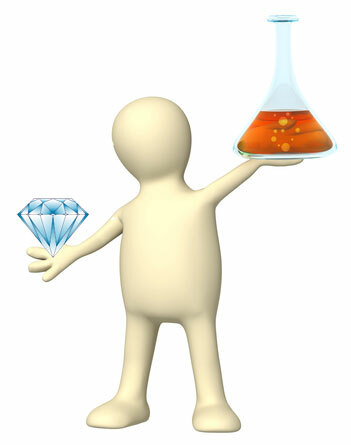 See the chemical and physical properties of this diamond simulant here!